So what humans can’t fly, (yet) they can design machines to do the job for them. While there is a widespread debate on how drones can be invasive to human privacy, here are five ways drones can be instrumental in one of the leading industries in the world- Oil & Gas. Methane is a primary component of natural gas and a contributor to global warming thus leading to climate change. Although it doesn’t linger in atmosphere for long, it can absorb more heat than carbon dioxide and can be devastating for the climate. Methane can be found in large quantities in gas layers which covers the oil in oil reservoirs. During oil drilling and production, most of the gas is recovered or flared to prevent leakage and/or explosion, but a small amount of this gas often escapes to the atmosphere. Environmental protection agency requires oil companies to monitor their gas leaks and the current practice is to send workers with infrared cameras to walk around and inspect the well . Methane, although not considered fatal for humans, can cause headaches, dizziness and feeling of fatigue when inhaled. 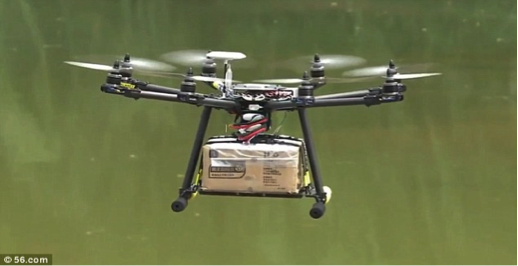 Drones can come to human rescue and save the trouble. Methane sensors are available (e.g. GDS Corp, OPLS ) that can be fitted in drones and can be used to sniff any gas leaks that might be taking place in oil rigs. In a critical environment such as that of oil rigs, certain situations such as abnormal thermal signature among thousands of electrical systems, failing fuses, incorrectly tensioned pipes and pumps, etc., can go undetected to human eye and can build up potential conditions for a blow out. Drones with thermal imaging sensors can aid the predictive and preventive maintenance issues in oil fields by detecting any abnormalities in temperatures that can lead to equipment failure. Drones can go to places that are not safe for humans. During a rig fire, drones can be deployed to assess the area before the fire fighters take charge. Furthermore, with the thermal imaging technology it may be able to spot the person who might be stuck in fire. The drone sending feedback to the command staff, will help them see the situation from a different perspective and can help identify objects or individuals that would need protection. Who said watering sprinkler technology is only for agriculture? 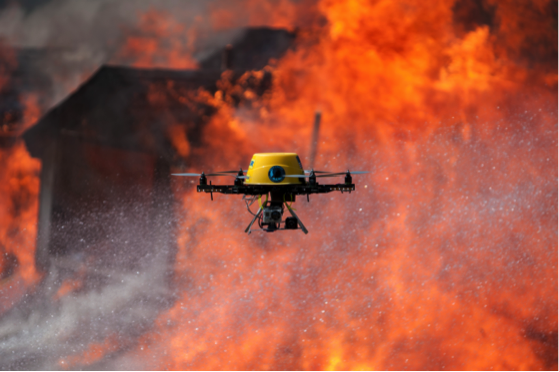 Drones fitted with water sprinkler technology can be used to subdue fire on site before help arrives. Drones can easily reach confined spaces and can help put out fire much faster and possibly save the equipment from much damage. 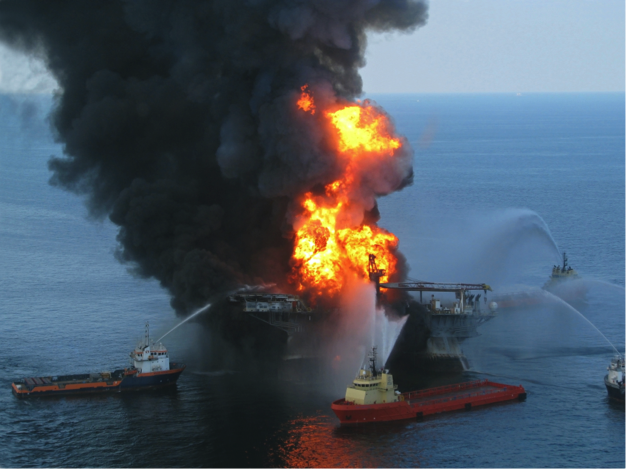 Drones can be used for survey of the rigs and pipeline and prevent the incident of oil thefts. Oil thefts are on the rise and a surveillance system just might be the answer to prevent oil crimes. Apart from regular rig and pipeline inspections, the drones can be used to keep the thieves away. Bonus: Drones can be a personal assistant to the rig workers, carrying tools and equipments around for them; especially helpful for delivering tools quicker at a raised platform. Some of the current drones can carry a payload as heavy as 10 kg (22 Lbs). Instead of sending humans up and down the platforms, running around for tools and equipments, drones can help save time so the skilled labor can be put to better use. 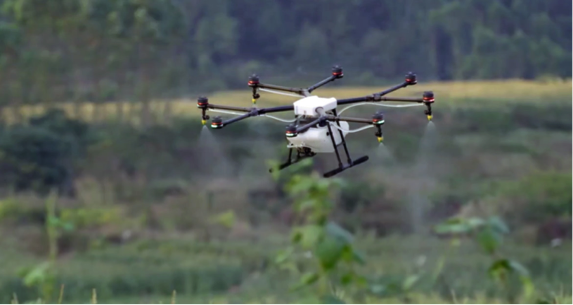 See more about commercial drone and sensors at Outdoor Robotics. Could NASA’s Methane Sniffing Drone Have Prevented Leak in California? (2016, May 12).